Elray Gaming, a company which is involved in developing games and gaming products has become the first ever gaming company to enter into the financial world by launching its own binary options trading platform known as Golden Matrix Binary. Experts were skeptical about a gaming company stepping into the trading world, where competition is literally cut-throat. However, all the wagging tongues have been silenced by the monthly reports announced by Elray Gaming on its binary options trading platform, which is indeed encouraging. According to reports released by the company, the Golden Matrix Binary platform has been growing steadily ever since its inception. The company has reported that the number of users registering with the platform has been witnessing a steady increase. The report also said that the users are not only enrolling themselves but are also actively involving in trading. The volume of trades that is being conducted through Golden Matrix Binary platform has been steadily increasing along with the number of registered users. GMB, or Golden Matrix Binary, was introduced in an effort to provide investors with a platform which they could use to trade on a wide range of options. 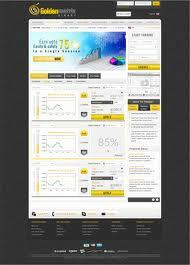 The company has included an array of financial instruments upon which binary options trading can be done. The options include foreign exchange or FOREX, global indices, commodities, precious metals and equities. Since a majority of the markets will be operational almost 24 hours a day, GMB allows its clients to access their trading options at any given point of time. This global reach has allowed GMB’s clients to make the most of every possible trading option available and increase their profits significantly. Along with trading, GMB offers its clients more facilities that help them in their trading endeavors. There is the live news feature which will provide clients with the latest market trends. There is also an option where investors can obtain tips from market experts before making their investments. The company has claimed that these additional services have also played a significant role in increasing the number of traders who are enrolling with GMB.